This beautiful donut can easily hung on a cord, or worked into a unique pendant. Seraphinite is also known by the chlorite mica varietal name: clinochore. It was mined in eastern Siberia, Russia near Lake Baikal. 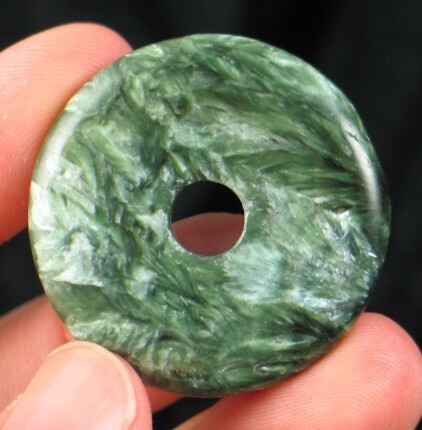 Seraphinite is usually hand-polished to show its amazing chatoyancy. 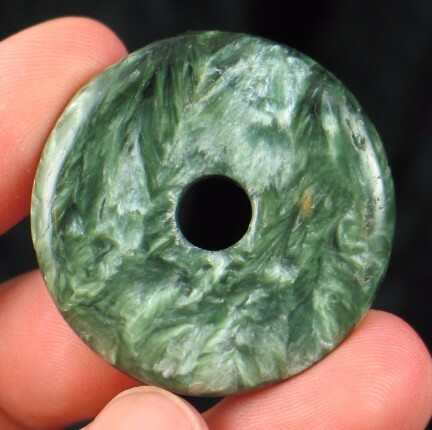 It is said that Seraphinite resembles angel's wings, and can aid in connecting with the Angelic realm. 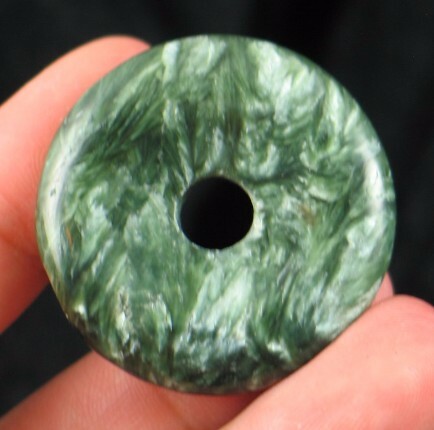 Meditating with seraphinite can aid in connection with the Divine Feminine as well as nature spirits.